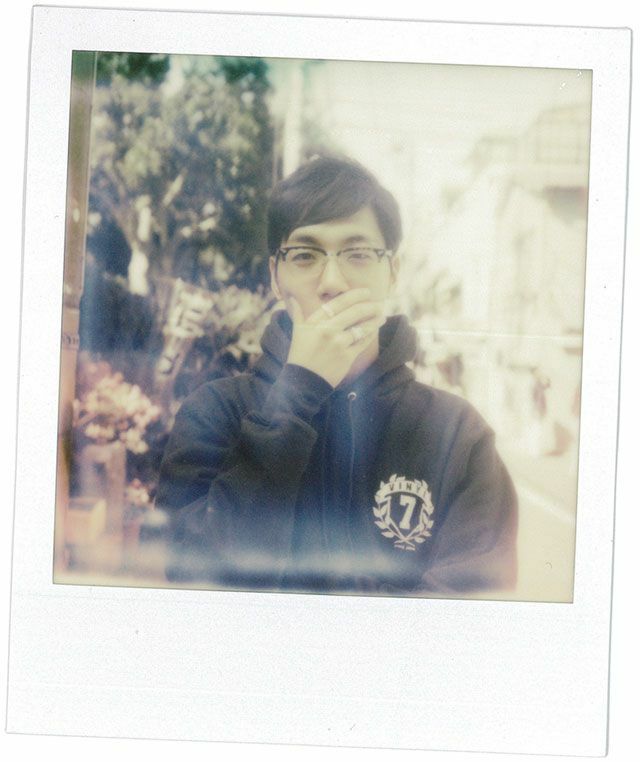 After the release of his first indie album 'Lost Decade' skyrocketed to position 19 on the Oricon Chart, Tofubeats—crowned as the biggest star to come out of the Japanese netlabel scene—went into contract with unBORDE, a sublabel of Warner Music Japan. Tofubeats whos rapid success expanded his followings, later released his first major album, 'First Album' which showcased a series of killer tunes including the acclaimed 'Don't Stop the Music', featuring Chisato Moritaka. Not long after, Tofubeats was also found working on a tribute album to Utada Hikaru, 'Utada Hikaru No Uta - 13 kumi no Ongakuka ni Yoru 13 no Kaishaku ni Tsuite'-, and providing a remix of SMAP's 'Kareinaru Gyakushu'. His first year with unBORDE was all about inviting in people who he admires, then working together with them through a series of collaborations, taking not steps, but rater strides into the 'world of pop'. Now, with the release of his newest EP, 'STAKEHOLDER' Tofubeats has put together a one piece that truly embossed his personal side, briefly breaking away from his other works. The only guest on this EP is a close friend from Kansai, Okadada. Besides featuring his own vocals for the first time in the title track 'STAKEHOLDER', since being signed to a major label and being booked at various clubs, which has been his primary forte; he had always emphasized on this EP, producing a clean sound zipped up into these 9 tracks. The biggest charm about Tofubeats' music lies inside the great distance of amplitude that he makes traversing in each and every piece. 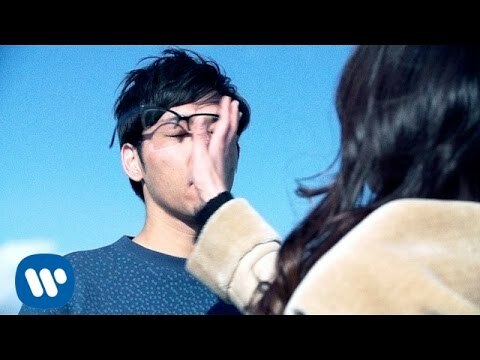 From the New Town of Kobe that raised him, to the center of the pop scene, to the rest of the world, and then all the way back to his own personal space; While looking back to his post-breakthrough activities to his newest EP, STAKEHOLDER, this special discourse that reveals the charm of his sound from the distance he had covered—is a sentament to just how far he has come. It been a while since you entered in with a major label, firstly, could you honestly tell us how it makes you feel right now? It's really fun, after all. The reason why I decided on joining up with a major label was because there are things that I wouldn't be able to do with out them, and despite the things I can't do, there are many things that I can do since entering a major label. I think we all have a limit to the things that we can do by ourselves. So working in collaboration with Chisato Moritaka, it's become a possibility to get so many interviews. It's like having someone to do those things that I cannot do by myself. And then all I have to do is simply tell my landlord what my job is [laughs]. [laughs] You know, I had this feeling in 'Don't Stop The Music' with Chisato Moritaka and also in 'Disco No Kami-sama' with Takashi Fujii—a significant energy—in your post-major activities. As if you celled out people who you have always wanted to work with, and made your dreams come true one by one. I guess so. In the first place, something in my mind told me that I have to fire myself up. The pressure was also intense, but finally I could be myself on this EP. Don't Stop The Music ended up how it did because I tried to make somehing which was almost 'Moritaka-like', even though the BPM was faster initially. When it was succeeded by Disco No Kami-sama though, I found the message inside the lyrics was a lot stronger than what I had initially thought. It reminded me how much pressure was really on myself when I listened to the finished product. Do you decide on the brilliant vocalists you want to work with on each track from the beginning? Back when I started working on Lost Decade, I was trying so many different styles, and I honestly couldn't resist the feeling when I thought something I did was good. I think about this in comparison to Sugar's Campaign; if you're always doing everything by yourself, you will find it difficult to get people to intervene into your work. But if others don't intervene you, what you've made won't reach the world. Because it is hard to make something objectively only by yourself, I believe it won't reach the world if I don't try to ask other people and outsource things such as mastering. It doesn't mean that I need a lot of help to make it, but it's more like "being alone is not as good". We did our best to get Nanba Shiho, from Horipro, for Lost Decade. It was quite a chore because before that the agency had never had private business dealings [laughs]. But basically, songs in First Album were like that. Even when I said I wanted to ask Moritaka to sing, it really wasn't that simple, but my manager motivated me, "just play dumb and let's ask them once again". Later, it gave an opportunity to someone from that company to get to know me; I was lucky in this case. When Takashi Fujii made his debut, his name was always distinguished, and now that it'd happened to me, I was really happy. This time I asked him directly, and later on his daughter was also listening to my song. Because of this, I brought a box of Juchheim (a flagship shop of pastry in Kobe) to Yoshimoto Kogyo. I can imagine you with a box of cakes [laughs]. I like doing those sorts of things [laughs]. Later, he told me that he had worked at Juccheim stall in a mall, and I was quite surprised, "for real?!" [laughs]. At that time, he was thinking of starting up his music career again. He was releasing a single 'She Is My Newtown', but people were underestimating it. It made me furious, so this drove me to collaborate with him. 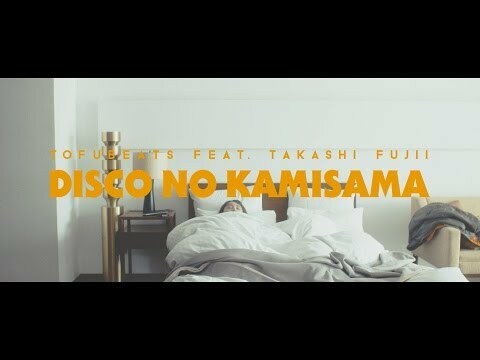 I was really glad to be able to get him excited again in the music production process with Disco No Kami-sama right when he was about to release a single. After that you released a limited single 'Come On Honey!' together with Hitomi Arai and released your 'First Album' (which comes later with remixes version). When I was making 'First Album', Warner gave me an exceptionally short time to produce it, so I was extremely busy, it's hard to remember the half of it [laughs]. I was impressed with myself when I made the deadline. It was due in August. I was so crabby during the period. You got a lot of live shows scheduled, more than ever actually; so I'd imagine that was what really packed your time. That pretty much sums it up. That's why I decided to reduce the number of live shows while working on STAKEHOLDER's production. Actually, today's event in Tokyo is the first time within this year. Last year was really busy. I had about 100 live shows; I also made a single-cut and an album, so I don't think it's much of a surprise when I say I was really busy. [laughs]. You also appeared in big festivals and terrestrial TV program. I watched them, your appearance, notably the TV program, it was dangerously good. I was doing those things with a faint smile on my face [laughs]. But I think the potential to do things like that is what's great about being signed to a major label. Many people gave presentations to me, and I think that's why I got to get those opportunities. It is quite a big thing to be a part of those line-ups. You got the opportunity to meet many people you admire, right? Well actually, Perfume came to greet me back stage and flattered me by saying “People in your crew are all really stylish.” We were honestly all quite puzzled, “Really? 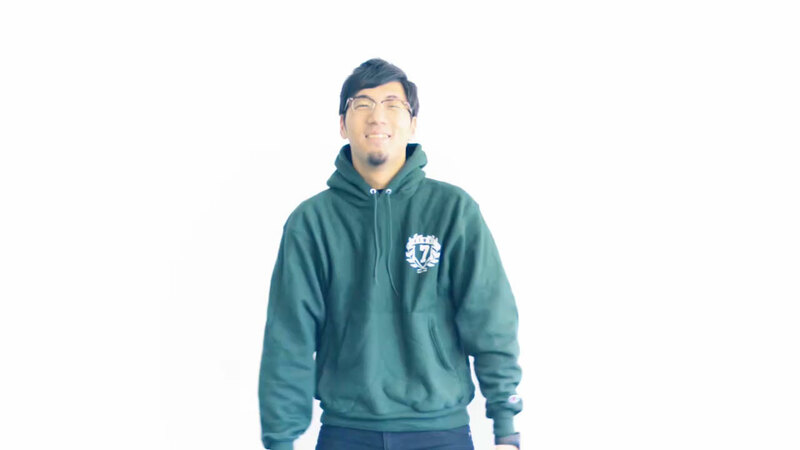 Does Tofubeats have such an image?” You know, because I am wearing gakuran [laughs]. But because of this, I get the opportunity to meet so many new people, and I have had the chance to perform together with Chisato Moritaka on Osaka Jo Hall (other performers were STARDUST REVUE, TRF, Yuzu, May J., AAA, GENERATIONS from EXILE TRIBE, Tatsuo Kamon, and so on), and I was like "This is crazy! They're all really famous people!”. By the way, I had a conversation with Tetsuya Komuro on my last day of work last year. We took some photos together on December 31st when suddenly I thought, "I've been in a dope place" [laughs]. Shortly after the New Year, I got to meet up with Marin (Yoshinori Sunahara). This all made me realize that it's not a matter of "I'm capable of being in the same place with these people", but it's more like "if I'm capable of stepping up to the challenge, then I deserve to be in the same place with such people", and I'm really happy about it. Rather than social experience, it's like "let's set it all in motion and see how things go". That's what duo Sugar's Campaign was saying. Besides that, you were also involved in tribute album to Utada Hikaru. Well, I was so surprised. It was so out of the blue! To have my wish granted in joining a tribute album to Utada Hikaru with Bonnie Pink on vocals is way too crazy! Moreover, she did vocal taking with me for 10 hours, the track also completed with no issues along the way. It was dope. I got the offer through e-mail while I was going through quite a busy patch, but I said yes because I thought there was no better choice but to accept it. I made the demo in a lapse time between receiving the offer at noon and replying to it at night [laughs]. I really didn't want to miss the offer! [laughs] And this year, you got another great opportunity, which was remixing SMAP's single, 'Kareinaru Gyakushu'. Lately I've been thinking how to make music a step closer to the flow of J-pop, I was given many pointers to take note of which I had no idea about. Although this was a remix, I got a tidy direction, this was a solid philosophy of Jonny's. The direction was exact, and each time I was corrected, I gradually got closer to Johnny's' signature sound. We worked with how to handle the vocal efficently, track development, reducing places with no song by truncating them tightly, and so on. When I used to wonder why there is such a sense of unity, whilst there's so many people who are working on a project, I can now answer why. In the end, I realized that I wasn't walking on the right path of typical 'J-pop', but that's why it was fun, and I learnt so many new things from that. Now, this new EP 'STAKEHOLDER' has finally been completed, those who only began to know of you after your major-label debut—due to your signature sound that is conventionally soothing to old listeners—this new EP undoubtedly offers a glimpse at a new side of Tofubeats. What do you think about this? I've participated in the tribute album to Utada Hikaru, and did the remix for SMAP. It hasn't been announced yet, so I can't fill you in on anymore, but I've done arrangement work for some other big artists as well. So I was a bit too satisfied in that field, and I think that's what made me want to create this EP in a way. I thought I wouldn't be able to do stuff that I was always doing before now that I'm signed to a major label. But at the same time, staff told me "First Album has soared away, so let's make this one (read: STAKEHOLDER) on your way". I was worrying about everything, but I was really happy to have this as the only solid sound. Quite a while ago, Takkyu (Ishino) made an instrumental single-cut, unfortunately, no one is doing things like that anymore. That's why this time I made an instrumental single-cut briefly creating an outlook with some images that had impact. If I don't do something about making it, then it'll simply never be made. I wanted to make it the way I did to preserve something that I truly appreciate. About the title track, STAKEHOLDER, did you have a clear image of how you wanted it to sound since you first thought of it? I had a few nominees. But firstly, to liken it to Lost Decade (his indie album's cover artwork which has used a chart of stock price) I decided to use STAKEHOLDER (a person that has invested money in something), an economic term as a relieving symbol. So, do you mean it's associated to that title? In this song, yes. I've always thought that it might be bad, but it had been like this for a week before mastering. At first, it was more dowdy, but I was able to gradually fix it. It's been a while since I've spent so long working on a single track. What comes to mind when I think STAKEHOLDER is something like, "it also means family, right", and then came an idea for the artwork. A cover like Fullhouse [laughs]. And in a word association game that came from Fullhouse... (he opens the artwork cover and showing text written in liner notes) here, a homage to the last episode of the show. There was a curtain call scene on the last episode, and there is this text: "Our Thanks, Our Love" and I was like, "alright, let's use this!" [laughs]. Moreover, Fullhouse streaming started on Hulu while I was making it. The EP even matches the era! Everyone was amazed, they said, "why now?" [laughs]. For this track, I got a 90s tone generator (KORG's X5DR) from my master, DJ Michelle Moushi Wake (a.k.a DJ Michelle Sorry), I made everything in the track with this. So I think, with the tone generator that came from the 90s, I could get a real sense of that era. The only one track that I completely made with a hardware instrument was this one [laughs]. Next track, 'Window' came from 'Lost Decade, the outtakes'. 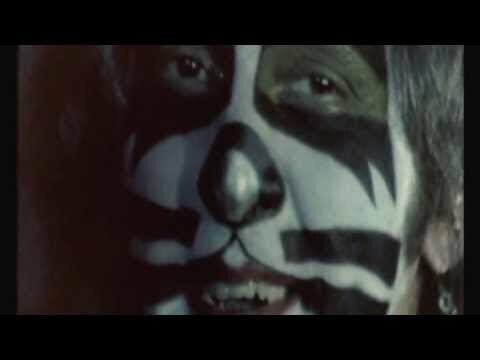 I wanted to know why you didn't put this one on 'First Album' since it was before its time. Perhaps, at that time I just didn't want to. It seemed a bit odd to have the track in that album because there was a track with that kind of beat already. But this time, I had actually already set a tie in song for it, and then I felt like I wanted to brush it up again. So not much on the track has changed, apart from minor editing to the vocals..? The vocal is thickening. This track has been good since the beginning, so I tried not to change it. In fact, I replaced many sounds, but I'm sure most listeners wouldn't have noticed this. I made it that way, simply arranging them nicely. If you were asking me, why do I like "asa ga kuru made owaru koto no nai dansu wo", I'd say it's because I put the lyrics on it without destroying the club music vibe at all. I remember immensely that I felt it'd be good if I inserted a full chorus in the track when I was making the song. I talked to Okadada, and we both were like, "this track is unexpectedly sweet". Mostly it doesn't go well work like this though. On the other hand, 'Dance to the Beat To The' which was uploaded to Soundcloud already, now has a completely different vibe to the first one. Yep, it's completely different [laughs]. This one is a dance track. Originally, I made this in an intolerable pace soon after 'First Album' was released, and then shared it for free After then looking back on it, I thought it was a bit 'raw'. This track could have been better if I did it properly, so I decided to create it all over again. It became nuttier than its original track. For example, the development is completely different and the pitch is higher. Next is 'STAKEHOLDER -for DJ-'. I really liked this version. Is it a kind of interpretation to apply sampling tracks in a major field? Yes. I was always thinking about the best way to put sampling in a major field, and this track is a successful example. You know, recently I was jotting down the chord, song, and so on. Yeah, I can't believe I'm doing that now [laughs]. Another thing about STAKEHOLDER -for DJ-, I was using beat vogue the whole time. I made them all by myself, my signature sounds. I just don't want to make this track sound like future bass, that's why I'm using beat vogue. In STAKEHOLDER, once it reaches the climax, the tempo dropped down instantly. 'Dance To The Beat To The' is also a jangly one. Rather than creating a typical Japanese song, I was thinking about how it would be if I dump multiple J-pop elements into the track? It doesn't mean I wanted to make this track into a pop song, but it's more so how to influence club music with typical J-pop elements. For example, the musical development occuring after you change keys in the middle, is something you're not really allowed to do in club music typically. So what you're saying is, you've been experimenting with things related to J-pop, and now you're applying what you've learnt from that into club music? Yes, exactly. That's why I think 'STAKEHOLDER' is a track that a lot of people are going to struggle to properly understand. That's why we made the MV in such a gaudy way. We had something unfulfilled. In a scene where my head was beaten by a bottle, I thought, "If I don't go over the top, nobody will want to see this MV" [laughs]. Well, I might be slightly exaggerating but I was always saying that I ought to make it amusing because in reality, it's such a hit or miss. Moreover, on STAKEHOLDER -for DJ-, the bubblegum bass also got adopted into it, right? 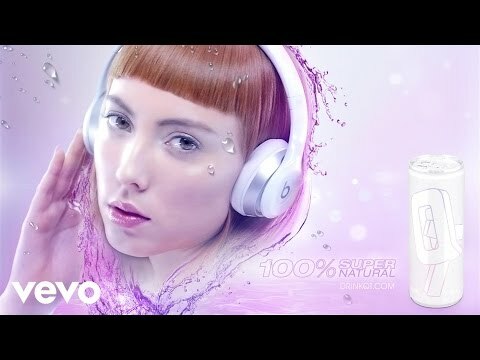 This is a low-end homage to PC Music by inserting a catchy melody with double pace. When Para One came to Japan, we had a conversation about how Numbers (Glasgow record label that released SOPHIE, and he's also better-known for his work with QT) has been a great label. When we were asked what's so good about Numbers, we said "the way they make club music a total frenzy". Liz was playing a song that was made by SOPHIE (in WE DO MUSIC at Ebisu Liquid Room), and I think that trying to be unique in that way is such a nice approach. J-pop will soon become a whole new phase. At least, that's what I've been thinking recently. Popular songs, J-pop, and even something else, the 'next big thing'. If I may say so, 'idol' is currently the only iconic genre. I think we're about to enter the era. So I'd like to make something in between. That's what I've been working on for a while but the whole feeling has been getting even stronger lately. Hell, it could be even techno music to be the next big popular genre in the days ahead. '(I WANNA) HOLD' ended up as a house track on this EP. On the other hand, how did you come up with the 6th track, She Talks At Night? I got the verse, and a bridge over here... and then added a high volumed bass where there is no vocals [laughs]. I wanted to make something 'indie rock' here, like the older Toro Y Moi music, or Tennis. 'I'm Callin''. It's got chillwave vibes yet maintains the elements of a pop song. I really dig that. It's a shame that Tennis aren't more popular, they deserve the recognition. You know, your lyrics that you put in these kinds of songs has always been like this. I don't know how to explain, but…like this [laughs]. Yes, it always becomes like… this [laughs]. The idea is to make a play on words out of the lyrics. There's a sense of loneliness through this one. Next is, T.D.M—which stands for The Disco Manufacturer—it's a song that you made with Okadada. This track adds meta fiction. Like, we can imagine it's these people that are writing the song. Yeah, and I also wanted to make a track with a proper full chorus on the EP. Because of this, the song has a real personal sense, and if we are looking for a suitable collaboration, I guess Okadada is the best for the job. All of the recording was done at my house, Okadada came and wrote the melody on the same day that he came. Pre-production process was taking a few days, but when we finally started it, we had begun on the song and its lyrics in the morning, and had finished them by night. I made the beat, and Okadada made the rhythms. Was it your plan to have Okadada as your only guest on the EP from the beginning? And on the last song, 'Eisei Toshi', a new town themed song—which was something you were working on—you end up singing for this song. Actually I'm considering asking someone else to sing the song and I'll put that version on the next album too. This current version has a weird sound arrangement and I left it distorted at times. This track honestly sounds like J-pop, though I completely disagree with that statement. On this EP, your vocals can be found on the title track. Have your feelings towards singing yourself changed? I still don't like it as I still can't sing well. But I think you can express your feelings more vividly when you sing yourself. In other words, it's like blues; it's not about the technique, but the true value in conveying an emotion. I guess so. Actually, right now I'm getting in touch with many young female vocalists, looking for a suitable one. But I believe this is the sort of thing that will lead to paths that I can manage by myself, like my website and so on. I could make gambles by asking someone else to do it, but I'd rather get 70 points for doing it by myself. I think you get more out of it when you do things yourself. I live in Kobe, so I don't have people around me who I can ask to work for me. I might be a jack of all trades, master of none. But I think singing it by myself would be one of solutions. I'm certain that this whole interview today, I feel it's significant enough to mention that just because you have signed to a major label, it doesn't necessarily make you a 'major artist', you're still the old Tofubeats doing what you do; going to various places, yet still coming home. There is quite a bit to discover in the distance, but you're going steadily so far. That's close to what I feel. It would be great if I could expand my career that way. That's my ideal. So that's why I believe you put 'Eisei Toshi' as the last song on this EP, it seems really meaningful to you. Especially this part; “kurikaeshi no kido kara, asobi ni tsuredashite, owari no nai tokoro kara tobidasu you ni” / “you take me away from the reiteration railway, we fly away from place without an end” makes this song one of the most personal tracks on this EP. I like New Town because it has the similar situation with me. The "satellite city" (Eisei Toshi) concept is precisely like that, but I'm really cherishing the 'going to various places yet still coming home' process. I do everything like this, because I was raised in such place. This is not "hare to ke" (a view of world of classic Japanese society that proposed by Yanagida Kunio, “hare” means “formal”, and “ke” means “informal”), but I clearly felt such a thing inside myself. That's why working with a lot of J-pop tracks made me want to create something like STAKEHOLDER; creating this EP was just like finding inner peace with myself. Besides, if I'm not constantly trying to go to various places, and then coming back, I won't know how far the real distance is. Your reach is no longer only domestic too. I think your joint performance with Liz and Ryan Hemsworth, then sharing your mix on Diplo and Friends' show on BBC Radio 1Xtra (England) was a gateway to success; with it being a place for young track makers all over the world to thare their works, I feel that really goes to show just how far your reach is. I don't want to ever forget that those experiences; being featured on Diplo and Friends didn't make me change though. I have this favorite quote; Ishino Takkyu was asked 'What's maturity? ', he answered, 'to know where you get off'.” Putting aside whether you know your place or not, I think to have such stance as a musician is superb. I too want to be like that. How do you feel towards the connection to the world that has gradually formed? Whenever I'm listening to Liz, I normally think that her songs are all nice. I always had this feeling that people who listen to my songs would feel the same way. Though, things like the language barrier always seem to make things hard. But that could all change if something that we share mutually—like internet—increases. By the way, recently Mr. Tomad came back from London (he was joining POKO Vol. 1, Maltine Record's first overseas event). I asked him “How was London?”, and he said “They don't really play song people don't know.” I feel that left an impression on me. On the contrary, when Mr. Tomad played SMAP's Shake, locals at the event were surprised [laughs]. Non-anglo saxons perhaps have another thought, but I think that the world we're thinking about is closer than we expect. Beyond expectation though, it seems everything goes well without any problems. Recently, people around the worlds interest in Japanese music is growing more and more, this creates 'more choices' and generates more of an audience, whilst also allowing people to understand each other. I think it's all beginning to unravel lately. You're right. MACROSS 82-99 is Brazilian, yet no one pays mind to that. Working with Ryan Hemsworth is just another expample. I've gotten an e-mail from someone lives overseas too, who watched STAKEHOLDER's PV, saying to me “I'd like to play the song. Please send me the audio source.” That's why I think it'd be good to be able to go anywhere in the world and just come home. I have never left Kobe, and I calmly refuse gig invitations from overseas [laughs]. It'd be amazing to live in a world where I could be out and about, yet also be at home at the same time. It'd be great if I could travel without moving my body, and if I can meet people from other countires who would share the same feelings, it'd also be pretty sweet. I did that gig with Liz, and also with Ryan, I just need to wait to find someone else. Your other musician pals currently also seem to have a connection with the rest of the world. It seems like this kind of situation will be more and more common from now on. Their music is much more for the overseas market than mine. Seiho, Pa's Lam System, Banvox and so on, they are crazily playing club music. So I'd like them to be known around the world soon and to do what I've been doing in Japan, on a worldwide scale, so I don't have to do it [laughs]. I still have to do so much locally, so first, I want to give my best shot in Japan. It's all about the role, everyone plays their role. In Japan, I was driven into a major label, skyrocketed with the help of Maltine Records. That is my role. You do a lot of shows around Japan, getting you to leave home a lot. Has the feeling when you're coming home changed compared to when it all first started? The distance I cover now is too far. I'm appearing on TV, meeting up with loads of artists, and when I come back to my house, sitting down with my ramen cup, I think, "was it all only a dream?” [laughs]. The distance is too far, so it often takes time to truly 'get home'. Because of this, it takes quite a while for me to get the right timing to create songs. On this EP, however, I got quite a lot more time to produce. For me, this EP is much more comfortable to listen to than any of the other music of mine. 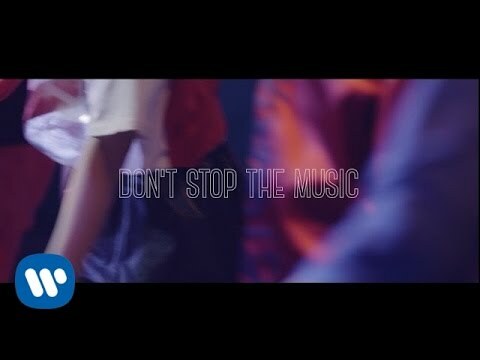 When I'm listening to Don't Stop The Music, it sounds so FM, but when I'm listening to this EP, it really feels I'm listening to my own work. This EP is the best representation of that feeling you get when you're making songs at home, right? I guess so, this time 'STAKEHOLDER' itself really feels that way. I could have done anything I wanted, like not doing a low-cut when mixing as the whole philosophy. That's the reason why T.D.M. has a very low volume. It would be too loud if I lifted up the volume, but this time I wasn't aware that it'd be on the radio. I was really happy to be able to finish the process. But I like pop music quite a lot, so I don't plan to stop making it. By just separating into three pieces singles from one piece Lost Decade that I release after entering major, it'll keep the balance. There are some musicians who make J-pop and also club music, but how people make their balance is dissimilar, and that I think of as originality is. I have always been aware of what my originality, and keep focusing on it. It would be great if I could go up one level higher by doing it. For example, I would be happy if some people think “I didn't know it's okay to release instrumental music” after they know about me. Some older musicians inspired me that way. So I'd like to do the same thing. This time, in the liner notes on the album it has written, "All of my friends, my family, and the stakeholders", does it also mean everyone that has affected you, including good friends and the listeners? Well, it's simply a joke [laughs]. It all goes back to things we said earlier on, by getting involved with others, we are opened up to a world of various interpretations, and that's why I called this EP 'STAKEHOLDER'. People could say, "what the hell is that? ", but I think that's a good thing. Besides, there's a term in the hip-hop scene, 'Stakes is high' (De La Soul's famous song title), this is also a homage to that expression. Besides that, all the directors for the music videos are in their twenties. I have twenties guys directing the MV, so it would be great if to see those young people playing such an opposite role to what they normally do.